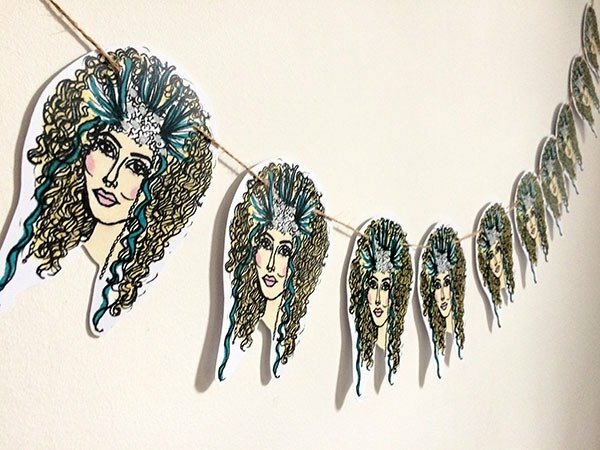 Dolly Loves Dallas creates hand illustrated paper dolls all cut, printed and pinned by artist, Selina Mosinski. 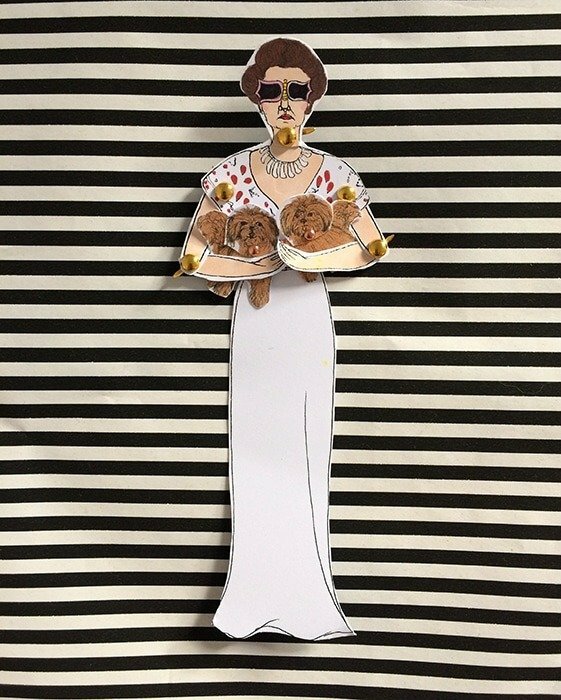 DLD celebrates pop culture by creating a platform for lots and lots of alternative PAPER dolls and accessories that the fellow dolly lover can access…Featuring immortalised female legends, gay icons and decorative cult film dioramas. 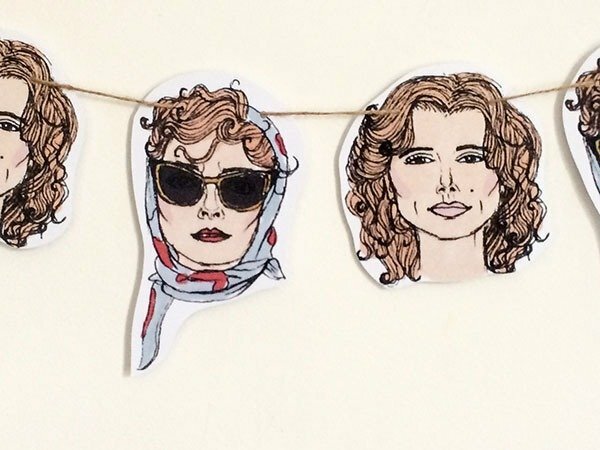 Have you always wanted to have Cher, Madonna or maybe even Debbie Harry at your dinner party? Well now you can with DIY Dolly Loves Dallas bunting packs. 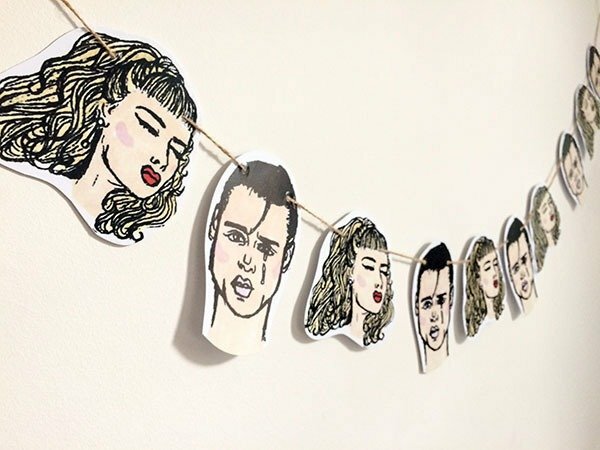 With over 30 characters to choose from (and many more coming soon) these paper bunting pieces are a perfect gift for any pop culture fan. All you have to do is thread the string through the bunting and find the perfect place for your décor to go. Personalised bunting and custom orders are also available just email via the contact page for further information. Nostalgia reminds us of what we’ve gained in the past, creates feelings of happiness. “Cult” characters embody nostalgia. 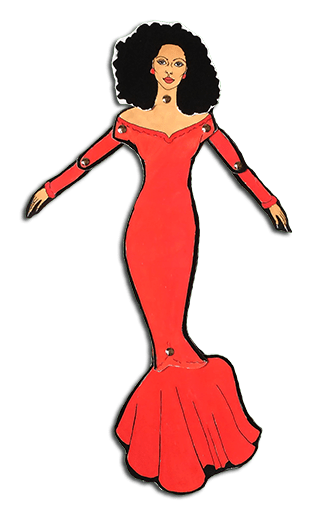 Who doesn’t feel more positive after staring at a twirling Cher paper doll for a minute or two.. It’s about enjoying the Kitsch and camp and celebrating those people that have embraced their individuality with all their beauty and yes on occasion their tragedy. Marlene was built alongside Dave Armitage as a shrine to LGBT icons. Marlene is a bright pink automaton made from MDF she’s 78x53 inches, the inside is decorated with paper dolls that are hand illustrated then printed onto 300gsm card. 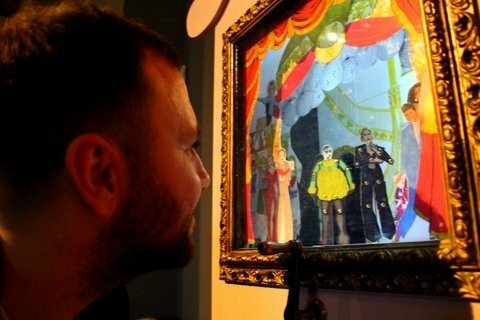 The viewer can spin the dolls round an interactive dance floor whilst George Michael, Elton John and Judy Garland provide the music. 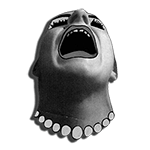 Some of the icon’s included are Marlene Dietrich, Amy Winehouse, Leigh Bowery, Divine and Grace Jones. 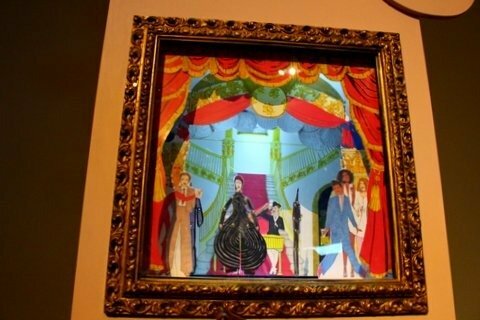 This automaton was commissioned by The Collections Gallery in Lincoln as part of the OPEM4 exhibition and was the first time these icons were placed in a 3d environment, creating a world for them that was fitting to all that they represented to me, the glamour, the gaudy and the theatricality. One question that led the production was “how much kitsch can we fit in a 2by2 pink box?”. 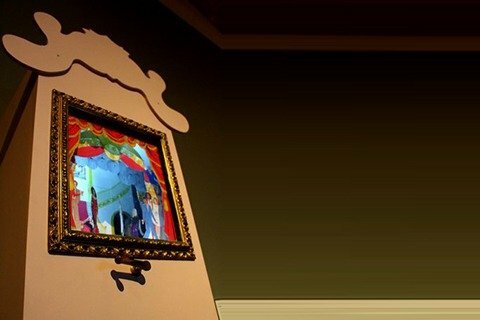 The project ignited an interest to further explore society’s obsession with the colourful and daring characters of the past and present and find new ways through the art of illustration and paper dolls to bring them back to life. This work was also recently on show at The Lady Bay Arts festival and Surface gallery Nottingham. Following on from the ‘Marlene’ the next project will be focused on the curator Peggy Guggenheim and the artists she supported in particular the exhibition Art of the Century. I will be attempting to make a paper 2D version of this which will then hopefully be further developed into a new automaton with sound and moving parts. The work will celebrate her forward thinking vision and her contribution to 20th century contemporary art.